One of the obstacles to a workable theory of personal intelligence was the state of personality psychology during the mid-to-late 20th century. Nowadays, many contemporary psychologists regard the continued division of the field into such perspectives as “fragmented” and “prescientific.” In addition, although the particular personality theories are colorful and thought-provoking, large segments of the theories lack empirical support (e.g., Derlega, Winstead and Jones, 1991; McAdams, 1990, p. iii; Mendelsohn, 1993; Wheeler, 1994, p. 8). Another more pragmatic drawback is that theories developed within a given perspective are likely to stay within that community of researchers rather than spreading across other areas. Any development of a coherent theory of personal intelligence was impeded given the level of splintering in the field. Greater agreement in the field as to the language psychologists should use to describe personality, and as to how personality operated, created opportunities to develop a theory of reasoning about personality–as well as many other advances. 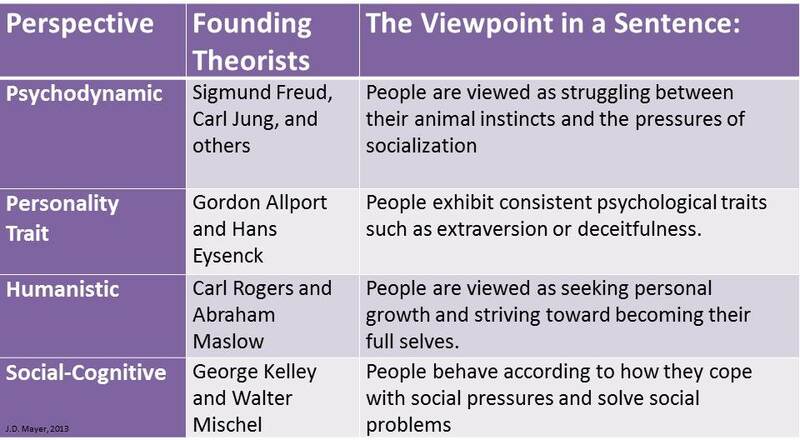 Recognizing these possible advantages, personality psychologists have evolved a more common language over the past several decades (and the roots of this common viewpoint go back far in time). New unified approaches encourage a direct focus on the personality system itself without the need to reference historical perspectives that are no longer as relevant as they once were. The theory of personal intelligence draws from all of those traditions to a degree, but does so using one of the unified contemporary approaches–the new approaches are closely compatible with one another–drawing on integrations from the Personality Systems Framework. The underlying integration that allowed for the coherent formulation of personal intelligence, in other words, was the Personality Systems Framework. It is the intellectual key that unlocked the theory.